I have a serious affinity for cardigans. I just can't help myself when I see a cute cardigan! 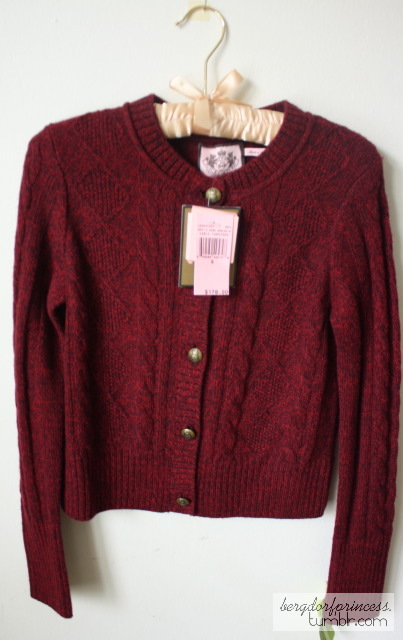 I got this Juicy Couture cardigan recently, and it is a lovely burgundy color. Wow, I absolutely love the color and the buttons!